Woo woo woo ! Singapore's team was good acting . Mcm-2 injured lah . Just wasting time == Next time , bawa van mayat je terus . HAHAHA ! Most of them are TIRUAN . Hoho . We're 100% MALAYSIANS . 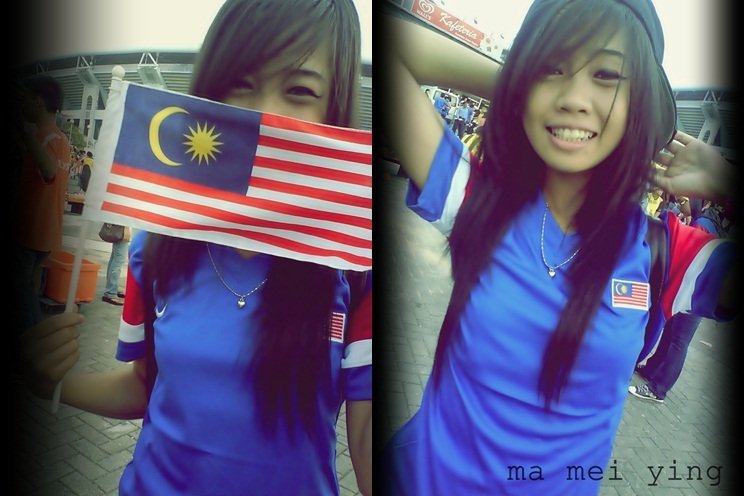 Btw , yesterday was dissapointed :( Jyeaahh semngat gila pegi Stadium Bukit Jalil for giving them support . Went Bukit Jalil with them who are Aizat , Ira , Ayiep , Azim , Izzi and sape lg sorang . Haha ! Yeaahh , having a great day with them . Mostly important is , Daniel Aizat , Thanks cos bought a jersi for me . *BY THE WAY GUYS !